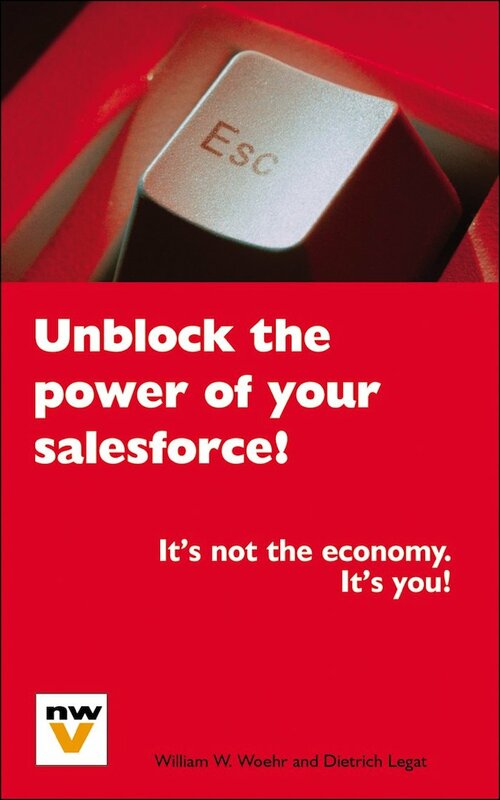 Unblock the Power of Your Salesforce - It's not the economy. It's you! This book is about sales and selling management with a system's approach based on Goldratt's Theory of Constraints. Goldratt, Dettmer and many others have shown for some time that enterprises are limited or blocked in reaching success by their constraints. Bill Woehr and Dieter Legat show with this book that these constraints become visible when the sales system meets the customer. These constraints have become the question of survival. Today enterprise leaders drive radical transformation towards virtual collaboration networks for R&D, manufacturing and supply chains. At the same time, our assumptions on which we base our models for leading sales organizations are firmly rooted in the medieval agricultural economic models. The two cannot co-exist any longer. When we applied TOC (theory of constraints) to our sales systems we were positively surprised to find that our enterprises are not victims of the "lousy economy" but of internal constraints, which we impose on ourselves. We cannot see the opportunities we actually face. We are victims of the "economy" and are forced to cut cost and down size our enterprises. This book shows a way out. A "how to" book, which every top sales manager can use to lead his/her organization through the required transformation. To succeed in this transformation however, top sales managers must radically reshape the assumptions, which guide their decisions. They must change the whole value system of the sales organization. 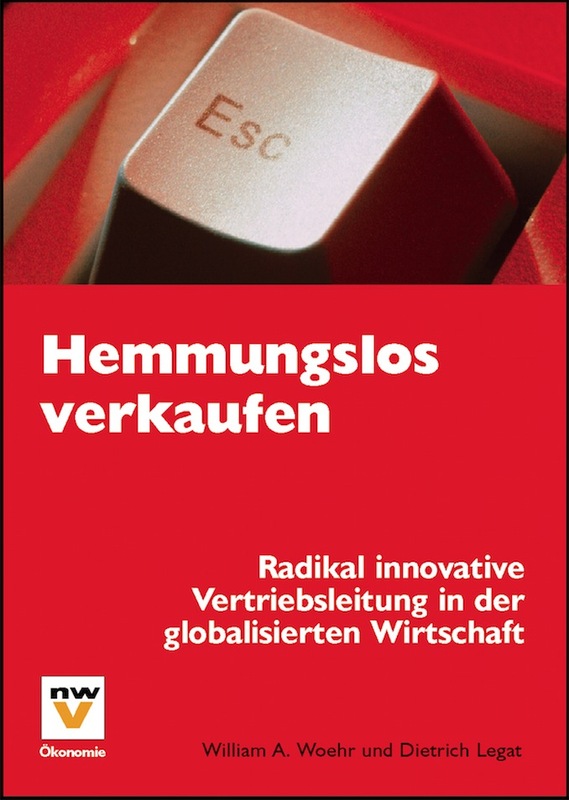 Without this change, the authors give few chances for enterprises to survive in the global economy. As our teacher Dr. Deming once said "survival is not mandatory" This book is provocative-a MUST for all top sales managers who want to "LEAD AND NOT FOLLOW". This book is for sales managers who have a special focus on selling to large accounts. It has one key message: IT'S NOT THE ECONOMY - IT'S US! Goldratt (The Goal), Dettmer and many others have shown for some time that enterprises are limited or blocked in reaching success by their constraints. Bill Woehr and Dieter Legat show with this book that these constraints become visible when the sales system meets the customer. These constraints have become the question of survival. Today enterprise leaders drive radical transformation towards virtual collaboration networks for R&D, manufacturing and supply chains. At the same time, our assumptions on which we base our models for leading sales organizations are firmly rooted in the medieval agricultural economic models. The two cannot co-exist any longer. When we applied TOC (theory of constraints) to our sales systems we were positively surprised to find that our enterprises are not victims of the "lousy economy" but of internal constraints, which we impose on ourselves. We cannot see the opportunities we actually face. We are victims of the "economy" and are forced to cut cost and down size our enterprises. As our teacher Dr. Deming once said "survival is not mandatory"
This book is provocative-a MUST for all top sales managers who want to "LEAD AND NOT FOLLOW".